Mercedes have announced that they will be launching a new Mercedes S-Class Coupe Night Edition in 2017, the car will launch in Europe in April and will land in the US in August. The Mercedes S-Class Coupe Night Edition will come with a range of engine options which will include the S400 4 Matic, the S500 and the S500 4Matic. 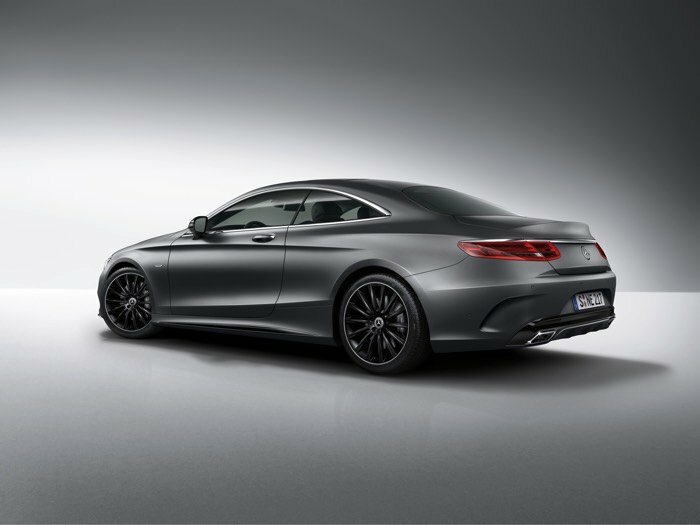 The very special exterior equipment details of the S‑Class Coupé “Night Edition” include its distinctive radiator grille with a single louvre in high-gloss black, together with 20‑inch AMG multi-spoke light-alloy wheels. The exclusive wheels are painted black and feature a high-sheen rim flange. The exterior mirror housings and the inserts in the side sill panels are likewise in high-gloss black. Front and rear aprons with AMG bodystyling come as standard, as do the “Night Edition” badge on the front wings and the illuminated door sills with Mercedes-Benz lettering. Paintwork in selenite grey magno is available as an option. This is a matt paint finish from the designo manufaktur range and features particularly high-quality special-effect pigments. One of the exclusive features in the interior is the engraved “Night Edition” name on the insert of the AMG sports steering wheel in nappa leather. Upholstery in leather, nappa leather or AMG nappa leather in black/black or optionally crystal grey/black, saddle brown/black or Bengal red/black, along with high-gloss black poplar wood trim, similarly serve to emphasise the car’s individual character. 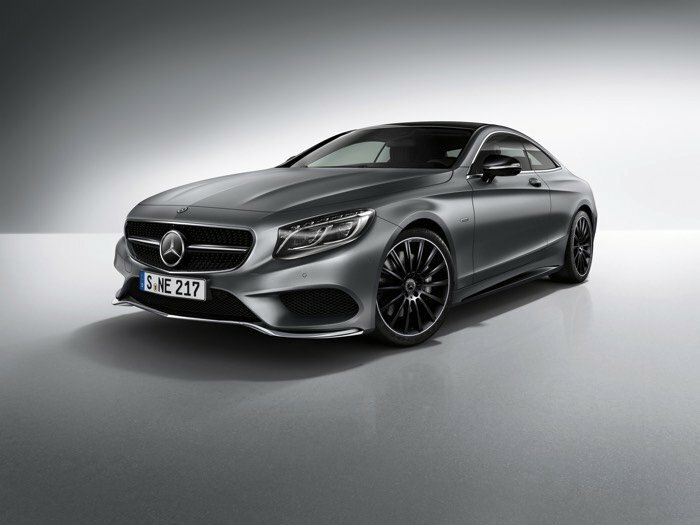 You can find out more details about the new Mercedes S-Class Coupe Night Edition over at Mercedes at the link below.